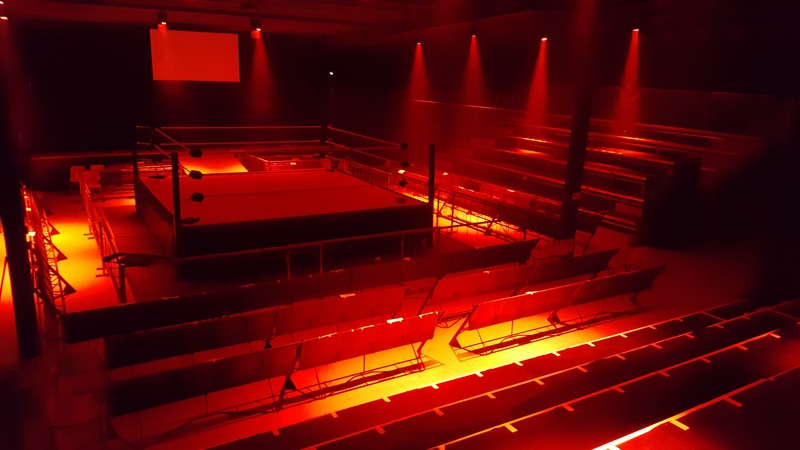 Professional Championship Wrestling teamed with the people behind the proposed South Eastern Entertainment Centre in 2014, sharing a vision to build a multi-purpose function centre which would be best suited to live professional wrestling events, dance concerts and performances. This vision came to life and today the South Eastern Entertainment Centre is a thriving events venue, boasting to be one of the only places in Melbourne’s East which includes a digital broadcast streaming service for hirers. Specific seats are allocated to every patron who enters PCW Main Events. This ensures your entire party is seated together in the best possible position, and you’re not stuck searching for a seat! The venue features three elevated grandstands with padded seating. There are no seats in the South Eastern Entertainment Centre with an obstructed view of the action. All seats at the South Eastern Entertainment Centre are padded. The canteen includes a selection of hot and cold food, snacks and beverages. Brand new bathrooms have recently been built which include rails for those in wheelchairs and/or requiring disability access. PCW and the South Eastern Entertainment Centre proudly support the Companion Card Program. An abundance of on-site parking is available free to all patrons. The South Eastern Entertainment Centre has full wheelchair access.